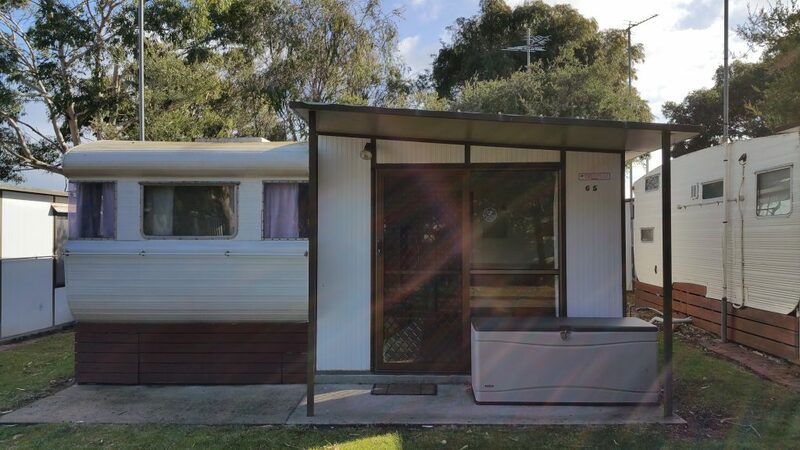 This 21ft Viscount caravan is light and airy with a spacious kitchen/living area and separate bedroom. The Kitchen has large bench spaces with plenty of storage, microwave, kettle, toaster, electric fry pan, hot and cold running water. The roomy living/dining features an L shaped couch with can be used as single beds. In the bedroom there is a double bed with under bed storage, wardrobes and tons of storage. In the annexe you will find a roomy living area with a separate bedroom containing bunk beds, set of drawers and hanging space. A large bathroom adjoins with separate shower with baby bath base, perfect for the littlies in the family, a toilet and basin. Outside has been recently painted with a uv resistant paint and the roof has been sealed. Extras include an outdoor gazebo, chairs, table, barbeque, 2 gas bottles the list goes on.